Passed peacefully away after a short illness at the Agnes Pratt Home on Friday, May 12, 2017, Martha Harding, age 96 years of Pouch Cove. Predeceased by her loving husband Joseph Harding, her parents William and Isabelle; sisters Marina, Harriet and brothers Arthur and Gordon. Leaving to mourn her two children Joan Budden (Eric deceased), Sylvia Larkin (Gus) and her sister Olive Strugnell. Also her beloved grandchildren Rick (Janet), Debbie, Lori (Aaron) and Andrea (Greg); great grandchildren Jonelle, Jayden, Keira, Araya, Emery, Kinsley, Logan and Greyson. Special thank you to the staff of Agnes Pratt Home and also staff at Cambridge Estates, her former residence for 8 ½ years. Resting at Carnell’s Funeral Home, 329 Freshwater Road, on Sunday, May 14 from 2- 9 p.m. Funeral service will be held from The Carnell Memorial Chapel on Monday, May 15 at 2 p.m. with interment to follow in the Anglican Cemetery, Kenmount Road. Flowers gratefully accepted or donations in her memory may be made to a charity of one’s choice. Joan ,So sorry to hear of your Mother’s passing.My thoughts and prayers are with you. So sorry to hear of your Mother’s passing, please accept our deepest sympathy. So sorry to hear of your Mom’s passing. She was a dear woman who always had a warm smile and a great laugh whenever I met her when visiting my mom. As I just celebrated the first mother’s day without Mom I know how difficult this time is for you. Please know you are in my thoughts and prayers. Sorry to hear of your mother’s passing. Our thoughts and prayers are with you at this most difficult time. Sylvia, sorry to read of your mom’s death. We will remember you, Gus and your extended family in our thoughts and prayers. You were blessed to have your mom to a wonderful age. God’s Blessing to you and yours. 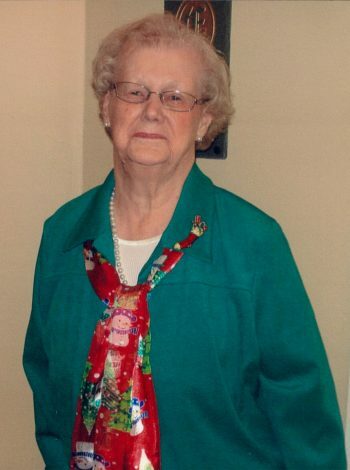 Very sorry to hear of Aunt Martha’s passing. Many fond memories of your Mom including the many car trips to Pouch Cove when we were kids, the visits to your Mom’s home on Cashin Ave. and your visits to our home on Fleming Street. Your Mom was always so kind and active. Sorry we are out of the Province.Thinking of you.. Sorry to hear of your Mother’s passing. She was a lovely lady, always out taking care of things in her garden and doing paint touch-ups. She was a good neighbour/friend to my mother, Floss White. Last year I ran into her at The Agnes Pratt Home, and we had a nice chat. Blessings to all the family. We were so sorry to hear of Martha’s passing. No week passes without Mom wondering if she is well and remembering her in her prayers. You both and Martha made Mom so welcome when she arrived at Cambridge. she is still missed. our deepest sympathy to your family. Sylvia and Joan and families. So sorry to hear about your Grandmother. I’m sure she was a wonderful women. May God bless you and your family. Joan we were so sorry to hear of your Mom’s passing. Please know that we are thinking of you today and in the days to follow. May God bless you and your family. Take a moment and close your eyes and think of all the good times together. Joan I am so sorry to hear that your mom passed away. My condolences to you and your family. So sorry to hear about your mothers passing. Out thoughts and prayers are with your family. So sorry to hear about your mothers passing. We send our sincere condolences.